Seoul-based sales company Finecut has announced its recent deals done at the Asian Film Market and Mipcom which include the animation Leafie selling to Portugal, Russia and Indonesia. 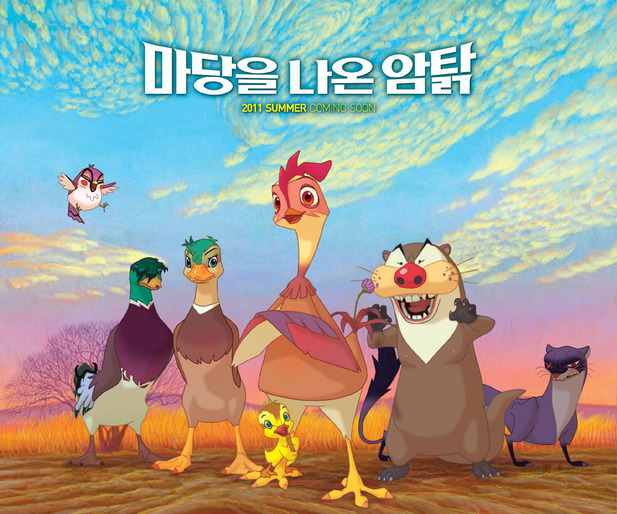 Korea’s top-grossing domestic feature animation ever, Leafie took in 2.2 million admissions at the nationwide box office. The film received special attention at Mipcom where it was selected for a premiere screening at Mipjunior. At Mipcom, the animation found its distributor in Portugal (Lanterna de Pedra Filmes Unipessoal Lda), ex-USSR excluding Baltic States (CP Digital), and Indonesia (Pratama Film). Travelling from Mipcom to Busan, the film was invited to the 16th Busan International Film Festival (BIFF)’s Open Cinema section. The film has also recently had a wide theatrical release in China by Dadi. Poongsan, written and produced by KIM Ki-duk and directed by his protégé JUHN Jai-hong, was sold to Asia Films for Japan in addition to its pre-sales for French-speaking territories to Pretty Pictures. Asia Films previously released another Finecut title, Crossing, which has grossed approximately US$1.2 million at the Japanese box office. Poongsan will have its international premiere at the upcoming Rome Film Festival in the Competition section and is also invited to the competition at Tokyo Filmex. Also sold to Japan (Crest International) is the Berlin Golden Bear-winning short film Night Fishing, co-directed by PARK Chan-wook and PARK Chan-kyong under their directorial label ‘PARKing CHANce’. Director PARK Chan-kyong is also developing a supernatural horror film with Finecut which was at the Asian Project Market (APM). The sales company’s other deals for Japan includes Hello Ghost to Twin and the fantasy thriller Hansel and Gretel to Asia Films. Their other deals include titles screened at the market Blind, The Cat and Unstoppable Family which were sold to Eagle International for Taiwan.